Saturday mornings are usually pretty lazy in our house. We work and volunteer all week and spend most of our Sunday at church so Saturdays are our day to relax. I'm usually up first because I'm an earlier riser. I wake up Chanel, flick on the kettle and make myself a cup of tea whilst grabbing some breakfast (this morning was our Favourite Protein Pancakes Recipe made into a breakfast bake for quick breakfasts). Then I sit down on my favourite red chair with my bible and journal and write and read until my heart is content. Meanwhile, Jesse is still out to the world - somewhere in dreamland probably fighting mythical creatures (you know you play too many video games when you dream about them). Once he eventually decides to wake up, I make him breakfast. Jesse is a serious pancake fan (and clearly a cookie fan too - case in point) so after a long, tiring and stressful week, pancakes on a lazy Saturday morning are the perfect treat - and this pancake recipe is one of our favourites. But perhaps the best thing about this pancake recipe is that they're super simple with just six ingredients and make enough for 2 or 3 people (so you don't have pancakes coming out of your ears!) but can easily be halved for a single portion or doubled/tripled for a bigger crowd. Mix all of your ingredients together. Heat a medium non-stick saucepan over a medium heat. Lightly grease your saucepan and pour your pancake mixture onto your pan, using about 1/4 cup of mix at a time, depending on how big you want your pancakes. Once the top of your pancake starts to look dryer and bubbles appear on the top, gently flip over your pancakes and cook on the other side. Repeat until all of your pancakes are cooked. 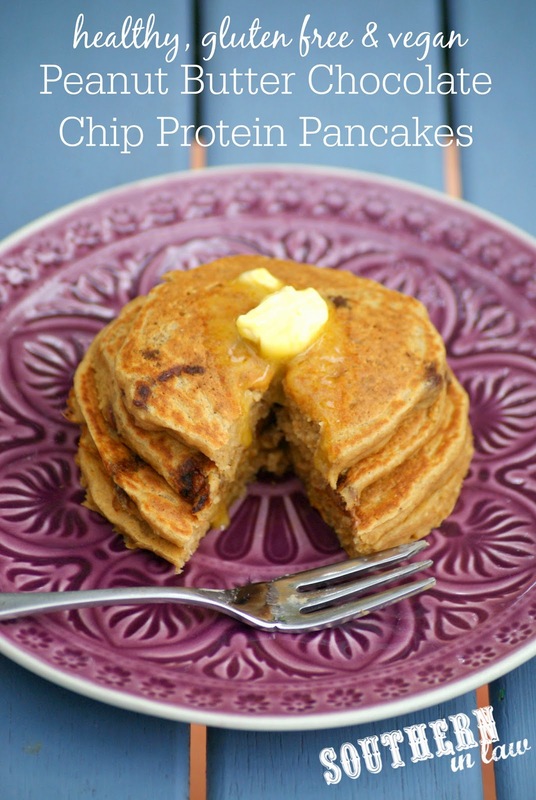 Serve immediately, topping with whatever you like or leave to cool and keep in an airtight container in the fridge (the pancakes will keep for 2-3 days) or freeze pancakes in a ziplock bag for quick breakfasts in the future. *When making this recipe for friends who like things sweeter, we add in 2 tsp-1 tbsp maple syrup for extra sweetness! We tend to top these pancakes with a little bit of butter or a drizzle of maple syrup but you can add whatever you like! Peanut butter, shredded coconut, chocolate drizzles - you name it! But tell me, are you a lazy Saturday-er as well or are your Saturdays busy busy busy? Today our only plans are to head to the shops to pick up something for a friend and then spend the rest of the day relaxing. In love! Guess what I just made today too? My own Oat Flour! I just ordered this massive bag of GF Rolled Oats form my favorite company, so I though, hey, why not! Looks yummy! I'm definitely pinning this to make this weekend! Thanks for sharing! I've been doing the same - making up big batches of oat flour and storing them in jars in the cupboard! This looks delicious! I am a huge pancake fan as well but I'm usually the only one that eats them in the house. I may top these with peanut butter. Can't go wrong with adding more peanut butter. ;) Thanks for sharing! Oh gosh these looks so good! 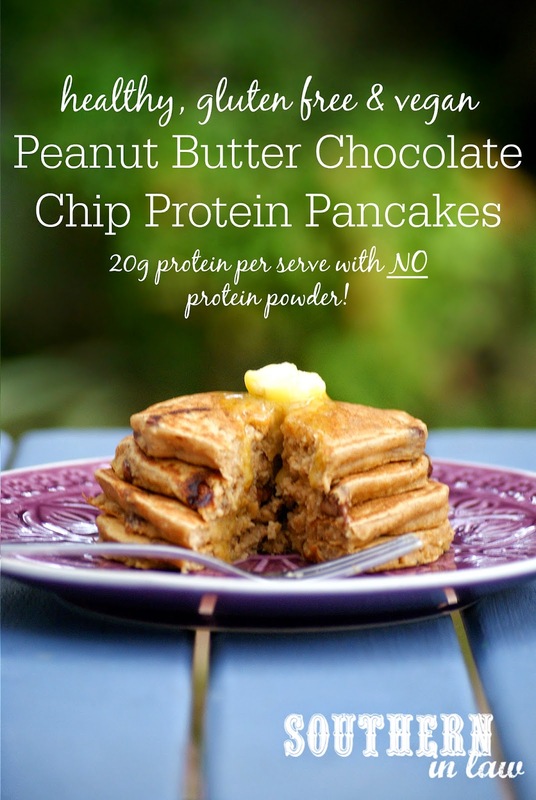 I'm loving peanut flour in my smoothies but am yet to try it in pancakes. Pinning this recipe to make very soon! 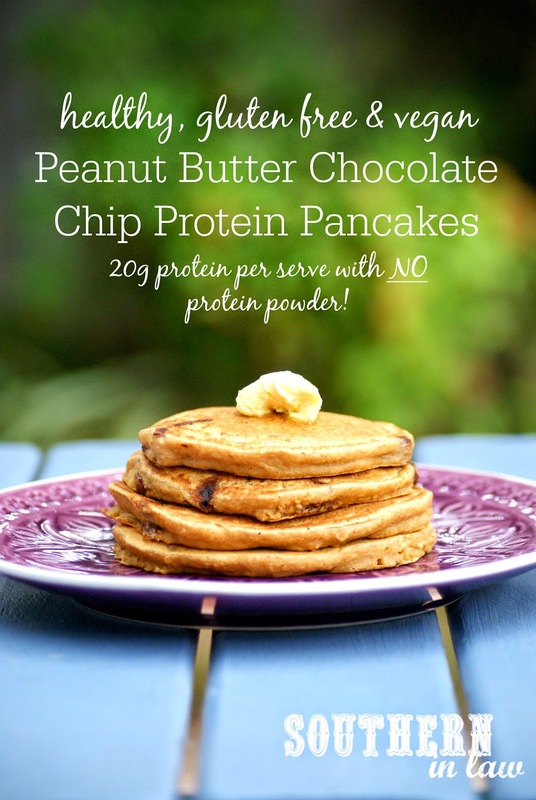 If you're already a peanut fan you will LOVE these!